An Edo Npower teach beneficiary asked if they are among the people going for Edo best programme? because her HM is seriously on her neck. So, we decided to compile this information to show you how important it's that you attend. 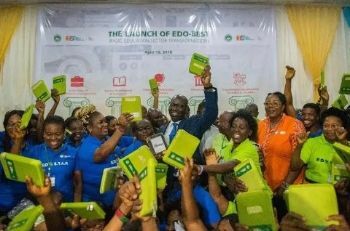 The Governor of Edo State, Obaseki introduced the Edo Basic Education Sector Transformation (Edo BEST) to revamp basic education in the state and as Npower teach volunteer serving in that State, it is very important that you take advantage of the training because it will further develop your teaching skills. Edo BEST has five pillars restructuring of State Universal Basic Education Board and the Local Government Education Authority, teachers' development and quality assurance, providing pupils with the right curriculum and learning tools, community engagement through Social Mobilisation Officers and provision of infrastructure. According to an Npower teach beneficiary serving in Edo State, he has attended conferences and workshop on behalf of his school as a 2016 N-power volunteer and he advice all N-teach volunteers serving in primary school level to attend. The experience you will gain there will be yours.